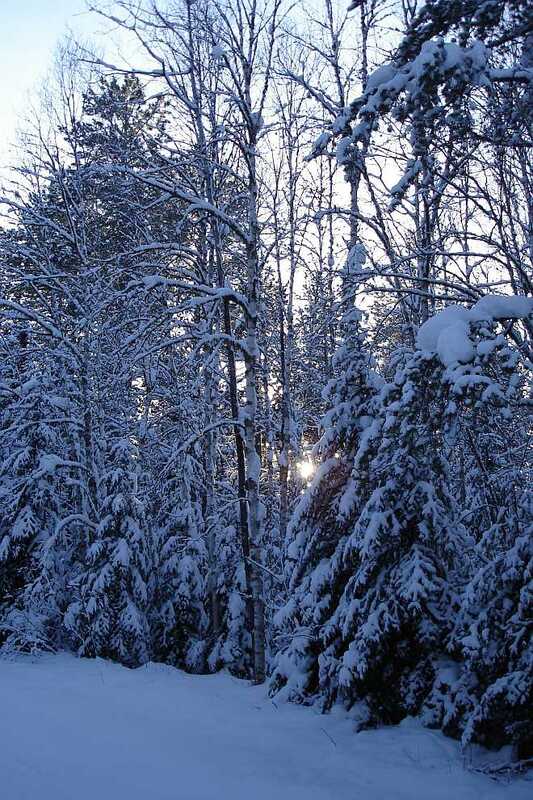 Looking for a new area of Northwest Ontario to explore this winter? Try Ignace! 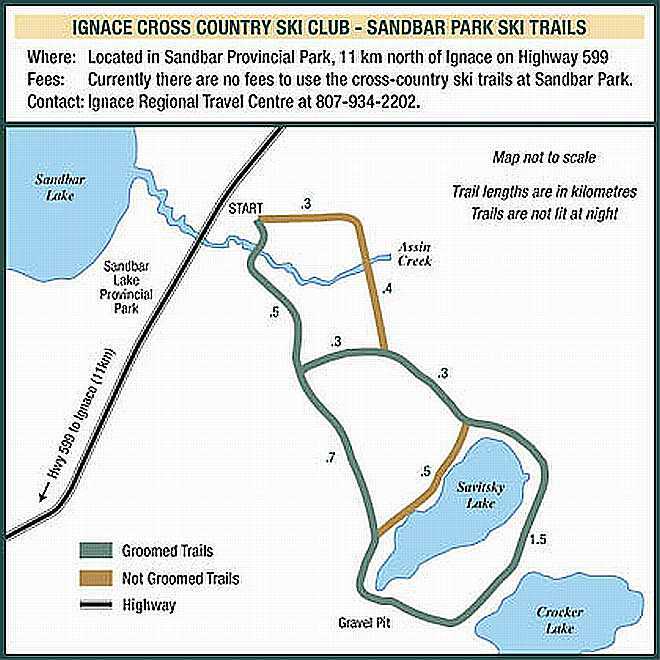 Sandbar Provincial Park is about 11 kilometres north of Ignace on Hwy 599. Not staffed during the winter, it’s nevertheless a great spot for some accessible adventure. Just northeast of the campground is the site of Ontario Rangers camp and a number of trails. There isn’t a chalet or a trail fee, but a handful of volunteers groom a 4.5-km loop for classic cross-country skiing. 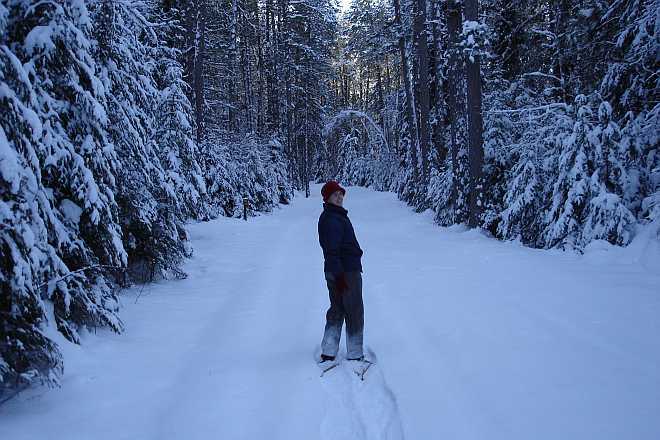 Grooming isn’t guaranteed, however, which is why snowshoes are an even better option for a tramp through the park. The site is blessed with towering red pines that remind me of a cathedral every time I visit. You can ski or snowshoe around Savitsky Lake, up and down some moderate hills or through a grassy open marsh (frozen, of course). Wildlife sightings are not hard to come by—once, I came across one big oval and one medium oval in a clearing, where a cow moose and her calf had bedded down in the snow for the night. Another time I was trekking along a silent, sunny trail when a ruffed grouse that had burrowed into the snow for insulation suddenly erupted into the air about a foot ahead of me. I shrieked and I’m pretty sure the grouse did too. I’ve also seen snowy pathways where otters had slid down to the river on their bellies, and any number of boreal birds, like chickadees and black-backed woodpeckers. Clearly, they know a great spot when they see it. Next Article Ski the Beaten Path in Atikokan!